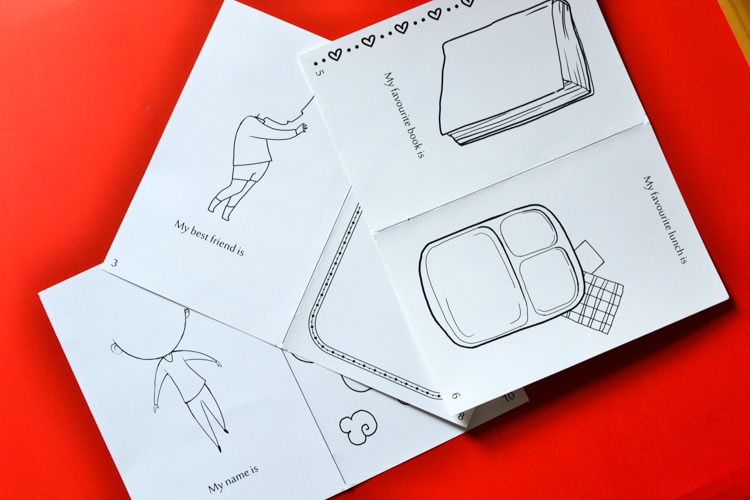 As a first-day-of-school tradition, make this little back-to-school book together with kids! 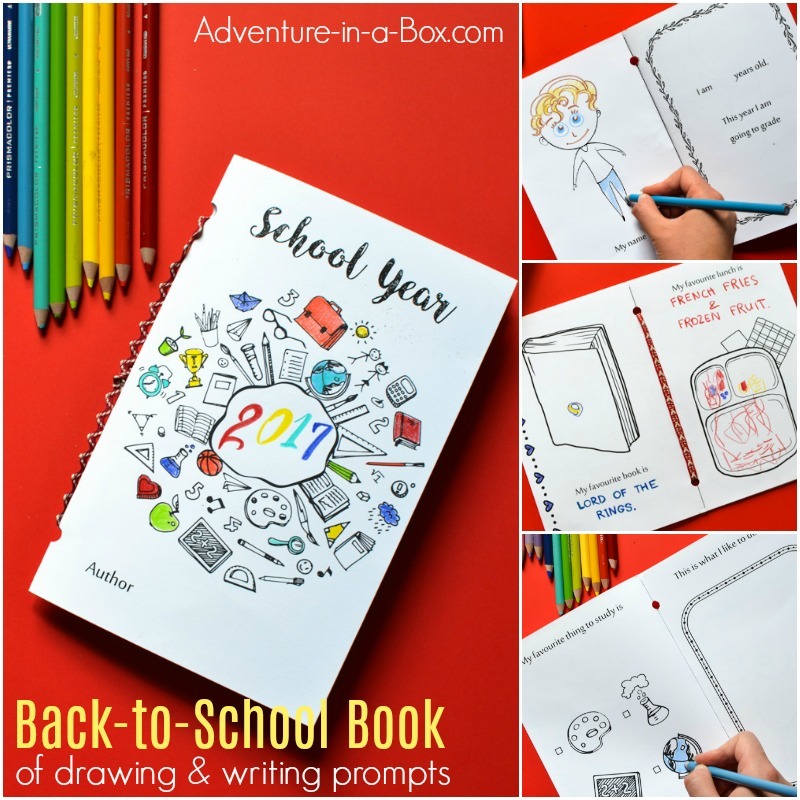 Filled with writing and drawing prompts, it captures their likes and dislikes, hobbies and aspirations. 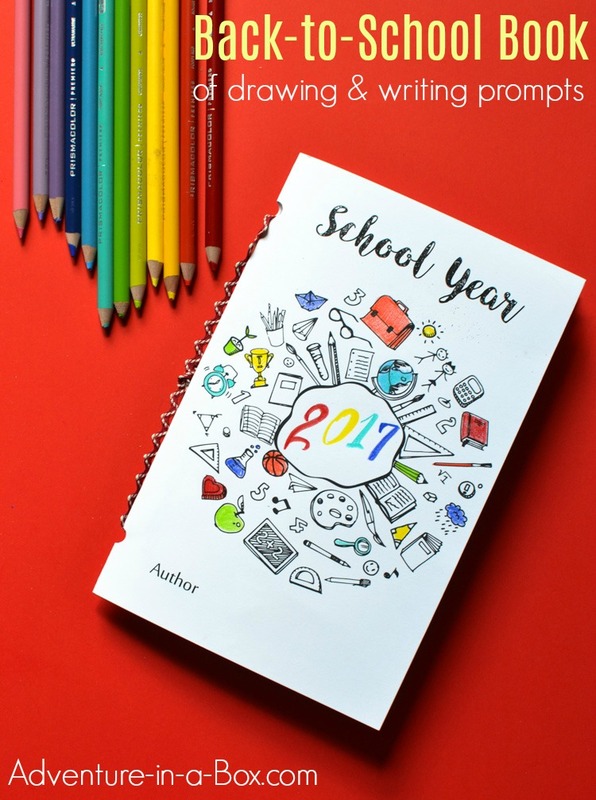 A fun keepsake for parents and a creative way for teachers to get to know their students on the first day of school. The beginning of each school year is one of those milestones that makes you stop and ponder over all the changes that happened over the last year, as well as the general passing of time. I remember doing it as a child, though maybe not so philosophically, and this year my oldest has reached school age, so I will be starting my reminiscing as a parent. I bet it will be more teary and sentimental this way! 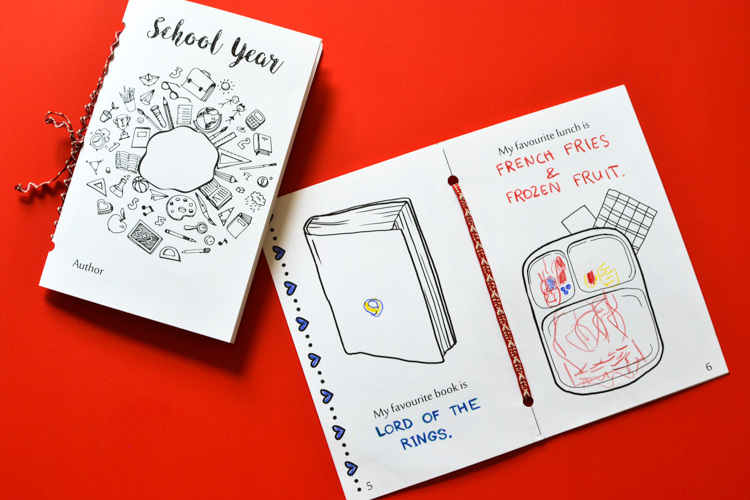 It is true though that the beginning of a school year is an ideal time for creating a little time capsule of how things are at the moment, so that next year you can have a tangible keepsake to look at. Photographs are great that way! I love seeing all the photos of my friends’ children on their first day of school, especially since a lot of them post the ones from previous years for comparison as well. It’s fun to see children grow and change. But since photography hasn’t quite achieved a way to capture what changes happened inside, some families also have a tradition of holding a back-to-school interview where they ask their children a repeated set of questions. I love reading those even more! As the proud mom of a four-year-old boy, I wanted to start doing this with him. And since separate pieces of paper have a way of escaping on me, I put together a book of writing and drawing prompts for him to fill in. He loved that he could write a book of his own! Well, there is something grand about it! At least my son was very proud to show his work to his grandma, while remarking “This is the book I’ve made.” Then he put it on the shelf, next to all the other books we have. It gave him a real sense of accomplishment. Besides the text, each real book has illustrations of course, and this is an important part of the book! 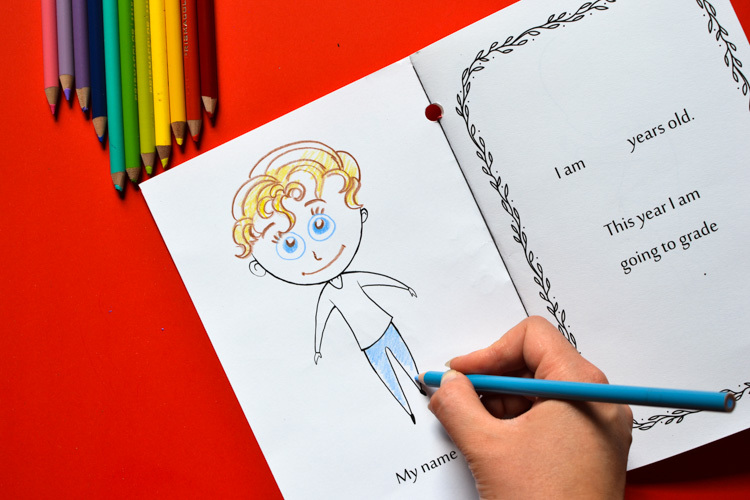 There are lots of elements to colour as well as drawing prompts to inspire children to draw self-portraits and design a book cover for their favourite book. My son surprised me quite a bit when he insisted that his favourite book was Lord of the Rings, but that’s what he has been reading at bedtime with his dad, after finishing The Hobbit. I liked the cover he drew for it! Classic minimalism. In addition, there is the element of learning about book binding. 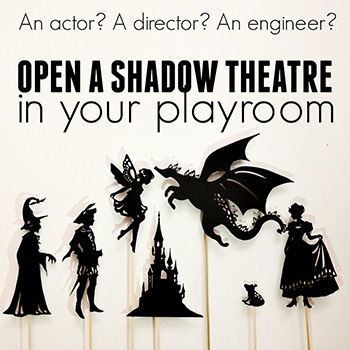 I suggest a very simple method, but to some kids it can be a start to book production at home. 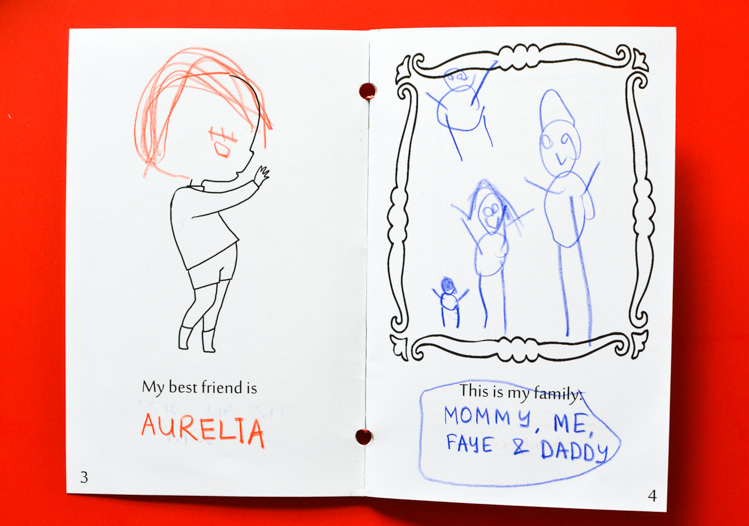 The questions are formulated in such a way that they can be useful for making the book at home as a family keepsake and at school as a way for elementary teachers to get to know their students on the first day. There is also nothing to prevent homeschoolers from using it! Along with the questions come ten drawing prompts. Sometimes it’s nothing but a frame, and other times it’s a picture to finish. 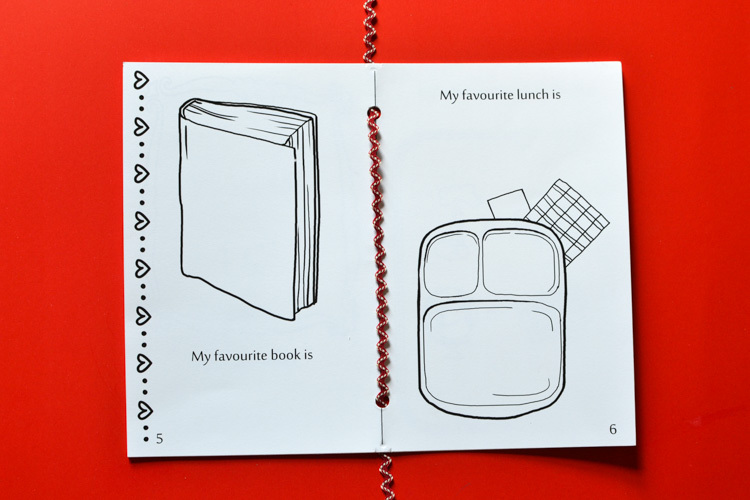 And for kids who like to colour, there is plenty of room on the pages to do just that! 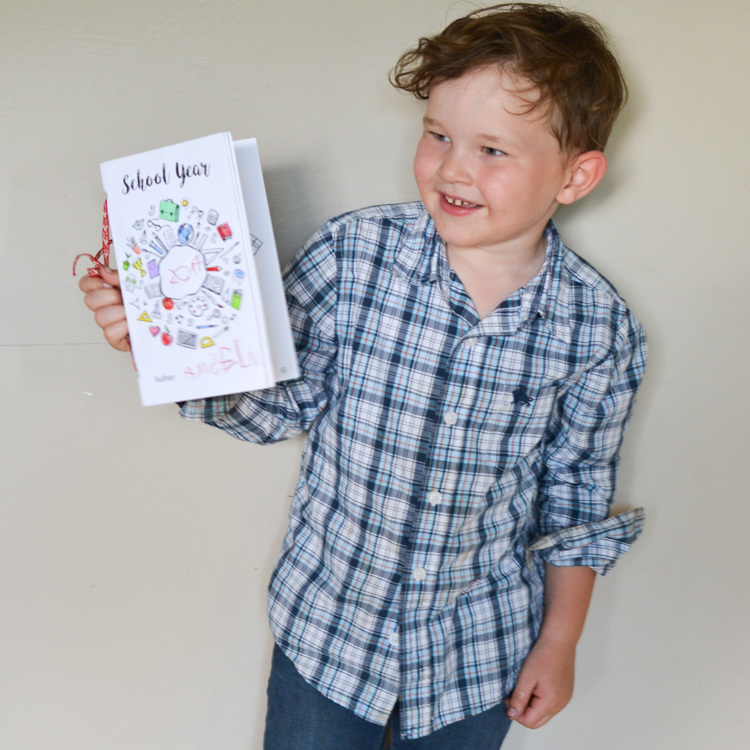 The book is just long enough to gather answers to several simple and a couple of more profound questions, but still short enough to let kids finish making it within half an hour or less. I think that my son spent about twenty minutes on the book. Being a four-year-old, he drew the pictures and wrote some answers himself, while letting me write down his answers to the others. This will work well for kids who are only starting school. 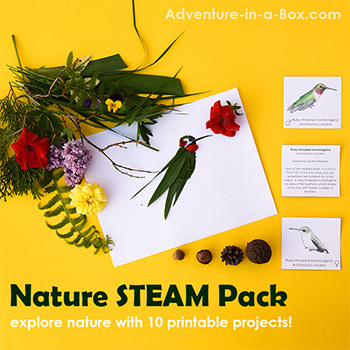 Good news – you will only need three sheets of paper for creating this book! You will also not need to do any cutting to assemble this book. Just print and fold. However, you will need to be careful about how you print – the design is meant for printing on both sides of paper. First, print pages that are marked “1 & 10”, “3 & 8” and “5 & 6”. Next, you’ll be feeding the same pages back into the printer and printing on the other side of them. The cover goes on the back of the page “1 & 10”. The page “2 & 9” goes on the back of the page “3 & 8”. The page “4 & 7” goes on the back of the page “5 & 6”. It may seem a little complicated at first, but once I printed one book, it was easy to do another copy. After all the pages are printed, stack them together, following the numbers at the bottom of each page. Fold the page at the line in the middle. You will get a book of 10 pages! Next, punch holes with a hole punch. Finally, thread a ribbon to bind the pages together. 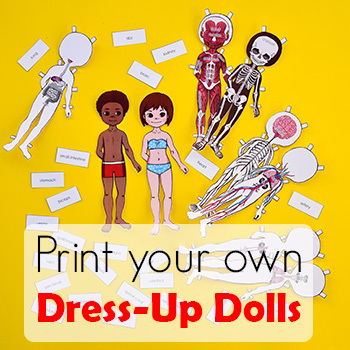 I suggest using a ribbon and a big hole punch so that children could help with these steps or do them by themselves. 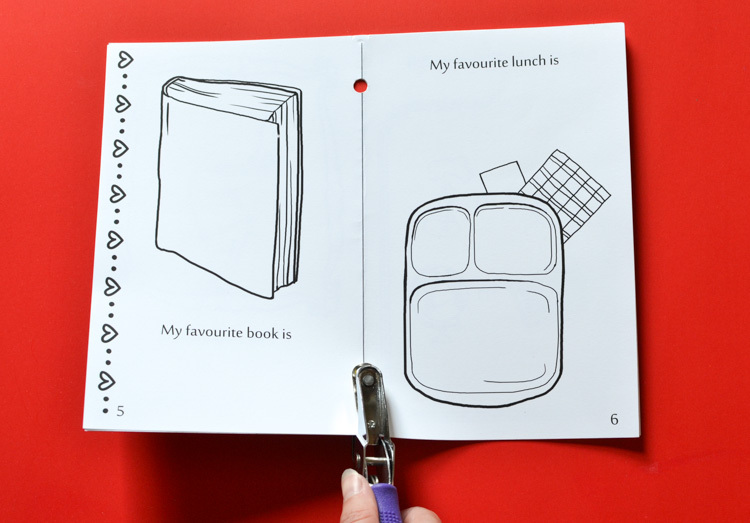 But if you don’t have a hole punch, you can use a needle with thread and sew the pages together! 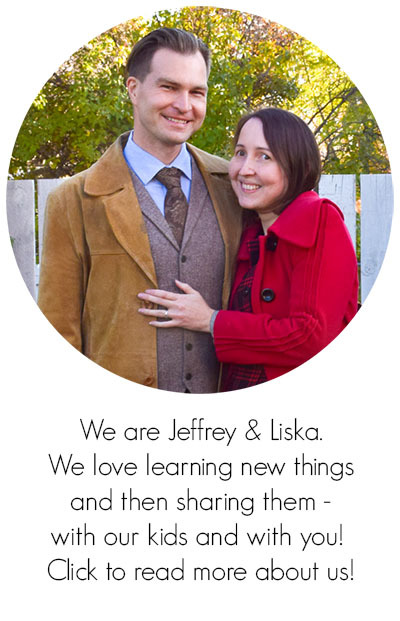 Download the Free Journal Now! If you still have questions about putting the book together, take a look at the video below! You can also find out how my son answered to all the questions from the video.